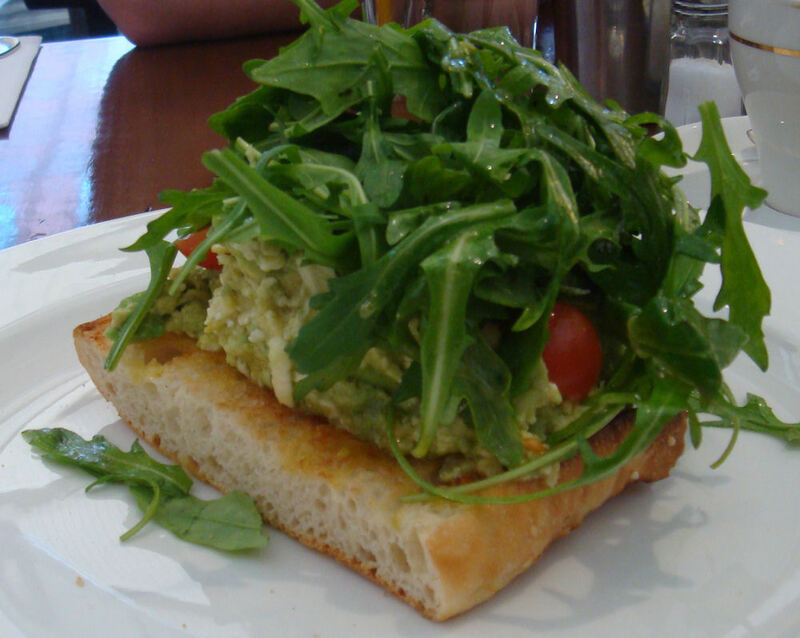 Famous for its ladies who lunch and luxury 4WDs, we were pleasantly surprised to find an unpretentious and affordable café in Mosman. Avenue Rd café was close to capacity when we arrived however it still had a relaxed atmosphere. 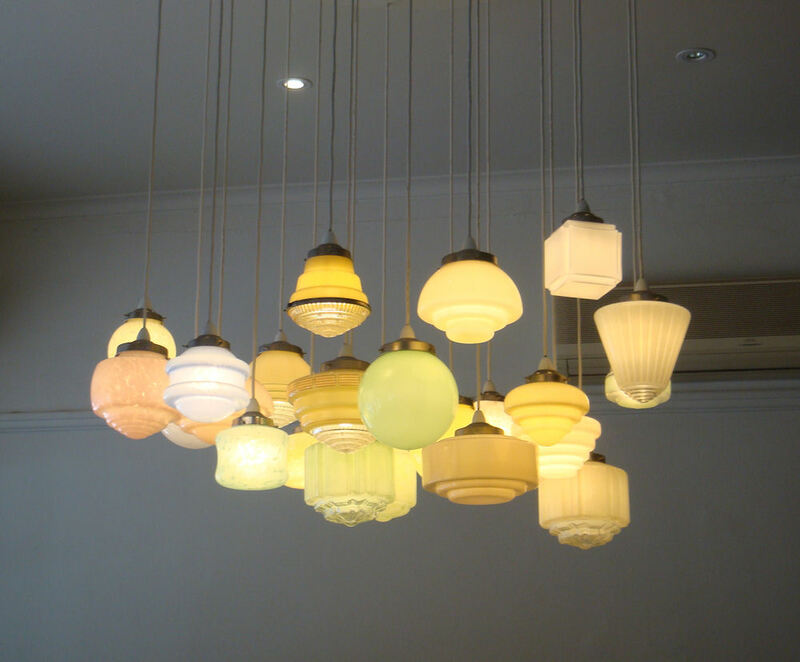 It has a vintage theme with an assortment of antique lampshades inside and a large glass shop front which lets in plenty of light. There is ample seating outside with heaters for those cold mornings. We didnt have to wait long for our drinks. The mixed berry frappe ($5.60) was tall and refreshing with nothing but pure berries and ice. Raspberries were the main flavour which was a surprise considering their high price. The mango smoothie ($6) was a flavour we don’t normally see on menus but it delighted even our friend from Queensland, the home of lush tropical fruits! 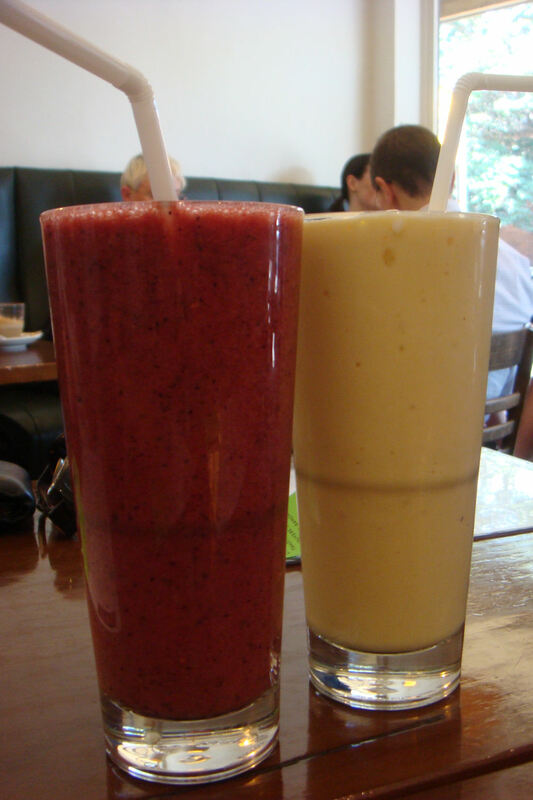 They also offer a good range of fresh juices. 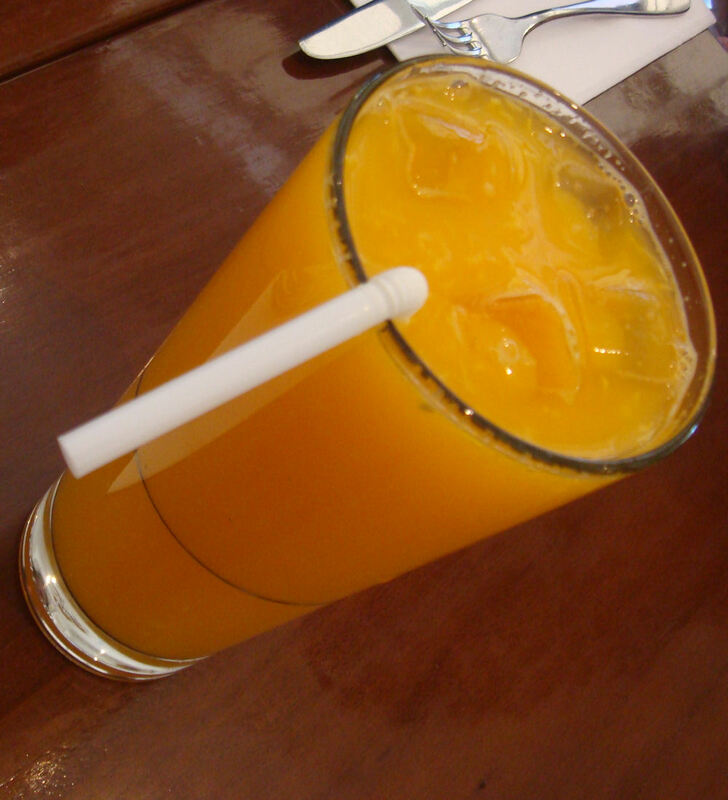 We opted for the orange juice ($5.50) and were not disappointed. 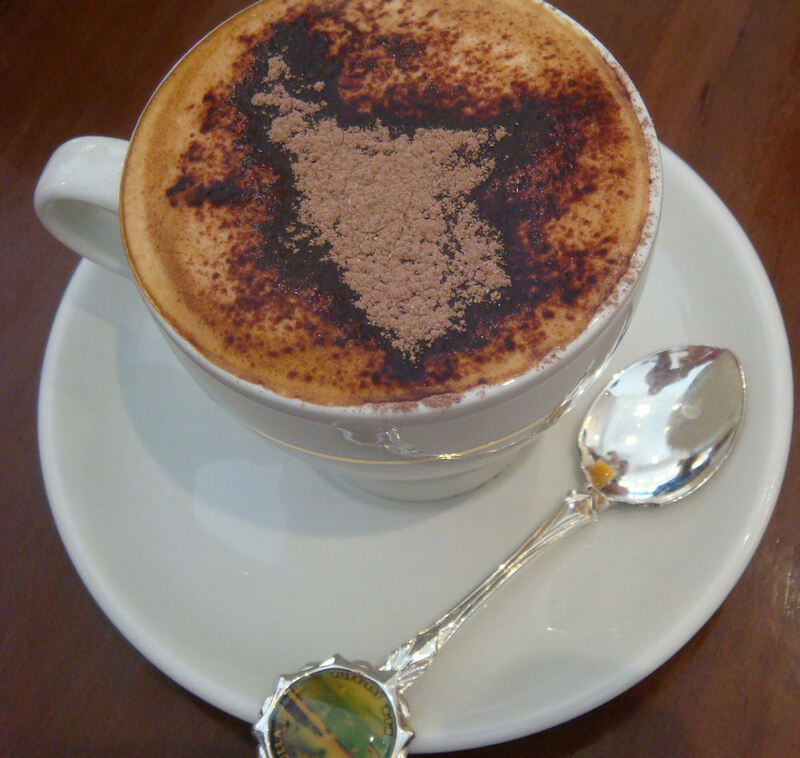 The skim cappuccino ($3.60) was on par with most other cafés in Sydney. 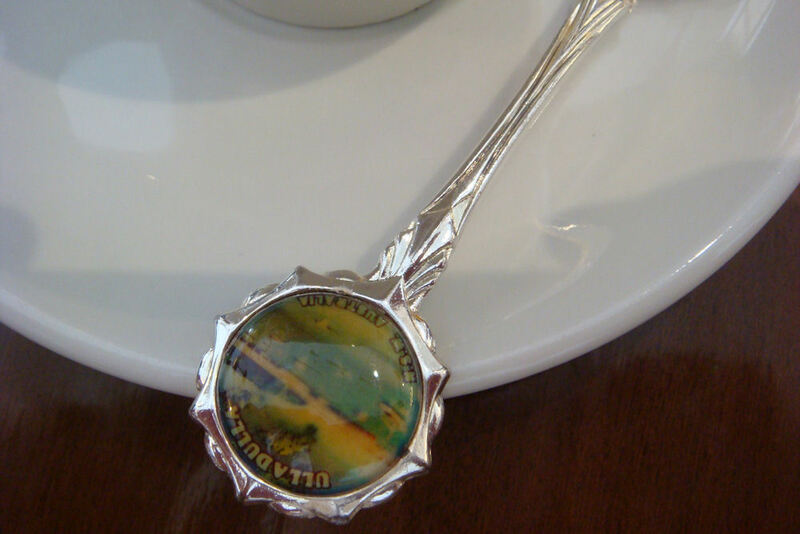 We loved the collector spoons served with the coffee. 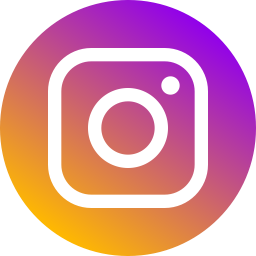 Ours was from Ulladalla, NSW. It continued the vintage theme of the café and set it apart from others. We were disappointed to learn that they were bought off eBay. Nonetheless, a nice idea. Our first two meals arrived under a mountain of rocket. 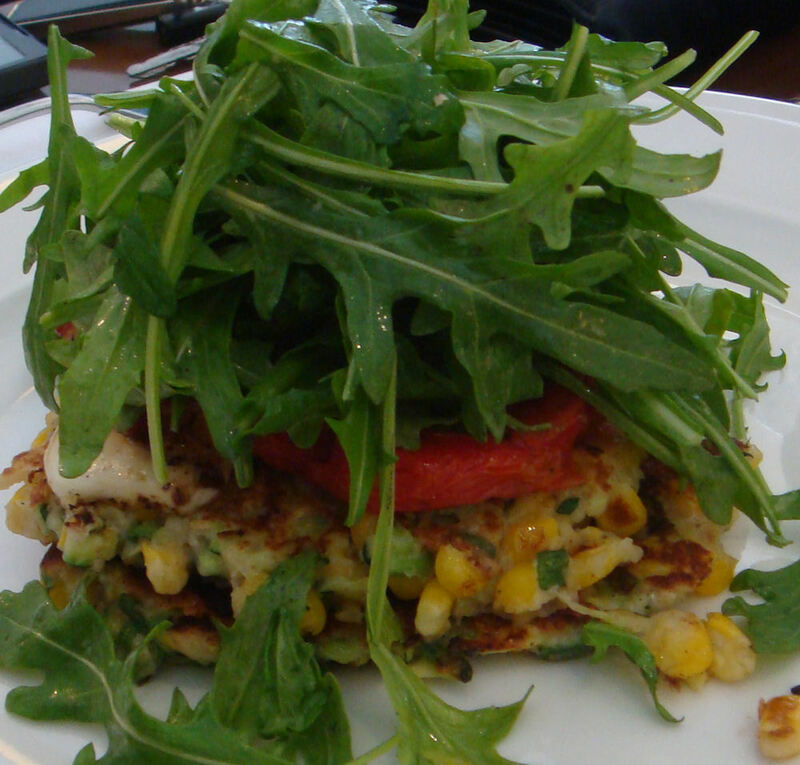 The corn and zucchini fritters ($16.50) were a filling and flavoursome meal. The two fritters at the bottom of the tower were moist and boasted some fantastic herbs. They were topped with bacon and haloumi which work well together despite making this quite a salty dish. From there up it’s a forest of tomato and rocket which had a subtle flavour. Sometimes rocket can be too over-powering but Dane found this just right. We had to try the unique Avocado and feta “mash” ($10.50). The combination of textures worked well together and it reminded us of a guacamole. The rocket was served with a delicious lemon dressing which counteracted the bitterness of the salad. 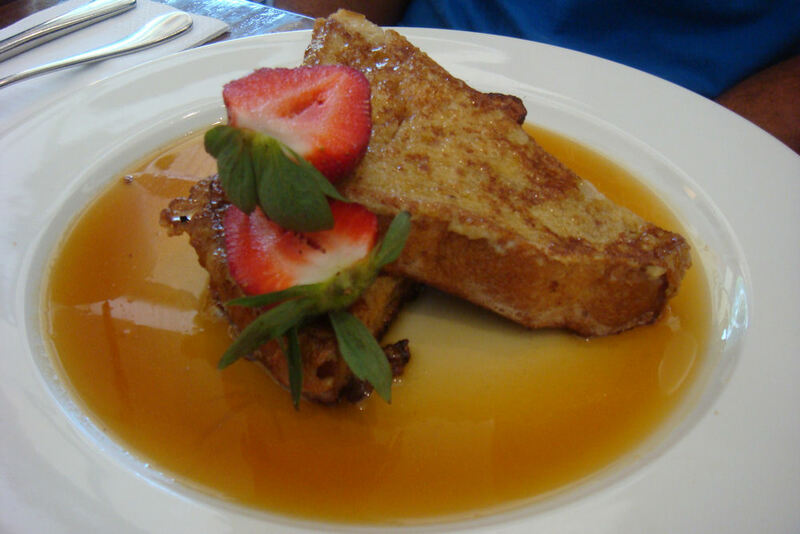 The French toast with Canadian maple syrup ($13.60) was generous and indulgent. It depends on your personal taste but our guest though it was just sweet enough and he soon devoured it all. The pancakes with maple syrup, banana and cinnamon butter ($14.50) was on the breakfast specials list. It was beautifully presented with strawberries placed between the two pancakes. 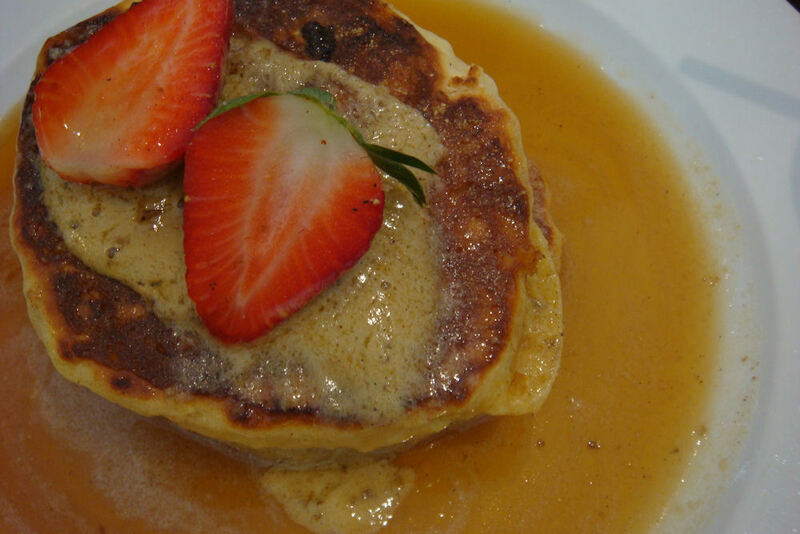 Our second guest found the pancakes too sweet but enjoyed them enough to wipe the plate clean. The cinnamon butter tasted fantastic and had a hint of orange in the mixture – a nice touch. 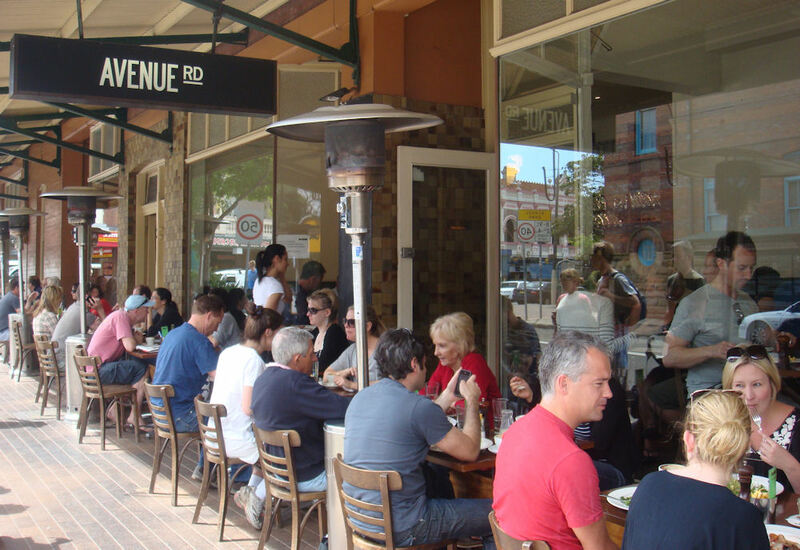 Avenue Rd café is close to the main shopping strip of Mosman as well as a short drive to Balmoral Beach and other park lands. We recommend it as a place to meet up with friends for a relaxed breakfast. Avenue Rd used to be my local haunt, and is my 2nd favourite cafe ever, 2nd only to Counting Sheep (formerly Olive and Deans) just down the road. You should review this one if you haven’t already. A shame to hear about the spoons, we used to love seeing who’d get the better one. Also, the corn zucchini fritters are better at lunch, served with poached egg and salmon instead of haloumi.